Town of Mtskheta and its surrounding area have been one of the most ancient settlements on the territory of Georgia. Two kingdoms were formed on the territory of where our country is situated now in the 1st millennium B.C. : Iberia (Kartli) in the East and Colchis – in the Western part. 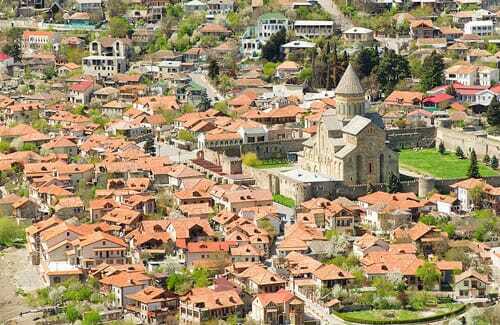 Mtskheta used to be a political, economic and religious center of Iberia Kingdom for over 800 years. It has been a kind of a spiritual center of our country before Christ and after the Christianity having been declared a state religion.